Sometime during the last year of the second millennium, I wrote my last letter in response to the last letter I have ever received. It’s been email ever since. I don’t recall making a conscious decision to stop writing letters. It just happened. I cannot pinpoint the exact date when my work memos, agendas, proposals and various notes, disappeared from my desk as if swallowed whole by my laptop. They just did. I still have lots of papers lying around, but I recently noticed that I don’t have any pens. Now, I will let you in on a little secret. I can’t type. I have written tens of thousands of lines of code, thousands of emails, business plans, presentations, contracts, white papers and blogs, typing with one finger. I like it this way. I use everything Microsoft Office has to offer, but only ten percent of functionality, or maybe even less, and I use it all day long. I don’t know anybody that uses computers the way I do. There are times when I have to interact with proprietary software that I did not choose, to complete tasks I don’t care about, and invariably, no matter how slick that software is, I hate it. Basically, I hate everything other people make me do. There is a mantra that never fails to materialize whenever EMRs are discussed, which says that EMRs were built for billing, and that’s the reason why so many doctors dislike their EMR. I beg to differ. The template option of documenting a patient encounter was built for billing, but the remaining 90% of the EMR was not. When you first open your EMR, what do you see? A list of today’s schedule? That wasn’t built for billing. A “to do” list? That wasn’t built for billing. When you select a patient record in your EMR, what displays on your screen? A “summary” page for that patient? That wasn’t built for billing. Everything you see on your screen when you prescribe medications, order labs, review results, send a task or a message to staff or patients, generate referrals, change your password, maybe take a blood pressure measurement here or there, was not built for billing. It was not built for billing because you don’t bill for any of those things, so it couldn’t possibly have been built for billing. But then, most of what doctors do with EMRs is documenting encounters with patients, and when you get ready to do that, invariably the dreaded screen, full of checkboxes and drop down lists, opens up in its unparalleled glory. This was built for billing. Look at that screen a bit closer, and you will discover that everything that was built for billing is actually optional. You could type, with one finger if you wish, three sentences, and be done. In most cases you could dictate five sentences right then and there and be done. The computer is not going to detonate on your desk if you don’t click the “normal” box to load seventeen pages of PERRLA EOMI into the note, and the police are not going to barge through the door if you don’t choose medically necessary ICD-10 and CPT codes. You could document your encounter precisely the same way you documented it twenty years ago, maybe using Dragon instead of a little dictation gizmo, and heck, you could use a pen on a piece of paper and let Mary “attach” it to the visit note later, because the EMR will let you do that too. You got paid before you ever laid eyes on an EMR template, and you will continue to get paid if you never use one. You could use your EMR the same way I use Microsoft Office picking and choosing the ten percent that makes your life easier and ignoring the rest. And your colleague down the hall could choose a different ten percent that makes her happy, and we could all dispense with the drama. Yeah, well, no, you really can’t do that. Why? Because “other people” are making you do things you don’t want to do, things you don’t care about, and they are using your EMR to enforce their will on you. And if you are anything like me, you will hate that EMR, no matter how much usability and functionality has been baked into it. This probably explains a good chunk of EMR dissenters, but it does not explain everything, because just like most things in life, righteous opinions have more to do with luck and random events than with absolute truths. First thing to observe is that medicine is, or was until recently, a complex set of personal services. A personal service is a service provided by one human being to another, and as such differs greatly across endless dyads of people engaged in providing and receiving a service, and across the spectrum of services (think hairstyling). When you attempt to mediate a personal service with a canned computer program, you will find that sometimes the software fits in like a glove, and other times it fits in like an elephant in a china store. The rest is just a matter of degrees. Simple probability ensures that there will be doctors for whom a given EMR is perfect, in most cases right out of the box. If luck has it, and they happen to buy, or be given, that one EMR, they will be content. If in addition to lucking out on their EMR choice, their personal style of service happens to match those things that “other people” want them to do now with their EMR, you will have a bunch of very happy campers. And extremely happy campers have a tendency to turn into evangelists. At the other end, you have the folks who drew the wrong fitting EMR, and whose personal service style is diametrically opposed to the new paradigms, sometimes to the point of completely eliminating EMRs from consideration. This group is where the prophets of doom reside, along with a silent majority keeping their heads down, constantly looking for escape hatches. In between the singers of odes to joy and those contemplating professional suicide, there are hundreds of thousands of physicians with milder feelings about this entire state of affairs, and some are eloquently vocal. The ones I find most intriguing are the producers of bi-polar and often schizophrenic narratives about the grim reality of being turned into “data entry clerks” by mandated use of technology that “is not ready for prime time”, while wholeheartedly supporting the speedy transformation of medicine into a Big Data business, which is the multifactorial silver bullet for all that ails humanity. And this magic silver bullet is blocked from firing because of the second EMR mantra which states that EMRs “can’t talk to each other”. Presumably once EMRs begin talking to each other, physicians would be free to enjoy the wisdom of Big Data without the inconvenience of generating it. Sort of like having your cake and eating it too. Alas, Big Data’s elements are the building blocks of EMR linguistics and are a prerequisite to having EMRs talk to each other. Thus the agony of collecting mountains of structured data elements for payment purposes is being replaced now with the misery of collecting troves of structured data elements, which include, but are not limited to, what is required for billing. One would think that we could slow down and let technology evolve at its normal pace, and let doctors pick and choose how much EMR they want to have for breakfast, but we really can’t do that anymore, because we no longer control the process. Big Data business does. I just looked up from my keyboard and saw my son watching a TV program where folks seemed to be searching for the best sandwiches in America. They were at Katz’s Delicatessen in New York. Katz’s Deli is a family business, established in 1888 and passed down through several generations. They make and serve pastrami exactly like they did in 1888. They even slice the meat with a knife instead of the latest slicing machine and insist that it’s better that way. 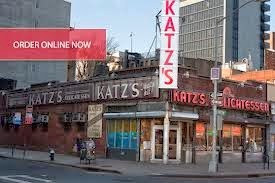 Katz’s Deli, and the handful of other establishments like it, managed to survive the mass destruction of the mom & pop sandwich business by the mass creativity of Subway. Maybe they were lucky and maybe they were also a bit smarter. Every owner of every shop on that TV show was wearing an apron, serving customers and addressing them by their first names. Every owner, and every interviewed customer, said that deli meats are really about long term relationships and pride in handmade personal service. During WWII Katz’s Deli began a tradition of sending salami to the boys in the army. Today, Katz’s Deli will “Send a Salami to Your Boy in the Army” straight from your computer screen, because Katz’s Deli has a website and you can shop online for some things. I am certain they have computerized cash registers too, but they insist on marinating, spicing and smoking and slicing every bit of pastrami by hand, right there on Houston Street. See, Katz’s Deli uses computers like I do. They take the ten percent that seems useful, the ten percent that doesn’t alter the essence of their art, and never bother with the rest. And business is booming, because Katz’s Deli discovered the only way to survive Schumpeter’s gale (which by the way describes how capitalism dies by marching from crisis to crisis in a doomed quest for more thorough exploitation of the masses), and beat back the armies of creative destructionists with a stick. You have to be really good at what you do, and you have to want to be the best at what you do, and you have to carefully add a dash of good technology to bring your personal flavor out. I’m going to surprise my boy now and order some handmade pastrami… Ess gesunt! Is the Nuremberg Code Obsolete? Some 67 years later, a generation of medical researchers with no first hand memories of either Nuremberg or what preceded it, are finding the absolute nature of this ethics code to be a hindrance in their morally superior efforts to save the world from health care system inefficiencies. In this day and age of readily and abundantly available electronic data, the antiquated processes of obtaining proper consent from experimental subjects one by one, for simple things like comparative effectiveness research (CER) or quality improvements (QI), are slowing down the computerized trains of progress. After all, we are not talking about hacking people with machetes or purposely infecting them with horrible diseases or any of the nightmarish scenarios that brought about the terror embedded in the Nuremberg Code. We are talking about a clearly beneficent learning system, made possible by health information technology, where every patient is a research subject and every doctor is a research assistant, and we all cheerfully share and cooperate to advance our collective medical knowledge and to make health care better and cheaper. The inconsequential details can be safely left to our betters, who are now, always will be, and in America always have been, on the side of angels. Following the controversy surrounding the National Institutes of Health (NIH) funded SUPPORT trial, which tested the effects of different oxygen saturation targets for premature infants (within acceptable “standard of care” limits), the Office for Human Research Protections (OHRP) held a public hearing in August 2013 regarding the nature of informed consent for randomized clinical trials. Leaving the SUPPORT controversy aside, two very distinct opinions regarding consent emerge from reading the various testimonies before the committee. The traditional opinion argues that there is a difference between treatment and research and that informed consent is required for both, including study of “standard care” interventions, CER and QI; that randomization always deprives research subjects of the judgment of their physician and that these issues are governed by law (e.g. the Constitution and such). The progressive view, presented by testimony from members of the Institute of Medicine (IOM), its Clinical Effectiveness Research Innovation Collaborative (CERIC), NIH and other research establishments, posits that randomization of “standard care” interventions poses no additional risks to patients, since doctors’ decisions are essentially like flipping a coin anyway, and therefore patients in this new learning system may be subjected to randomized CER and QI experiments without explicit consent and with minimal, if any, information (e.g. “something posted on the door”). The notion of a Learning Health Care System has been introduced by IOM, and it forms the basis of the Federal Health IT Strategic Plan published and maintained by the Office of the National Coordinator for Health Information Technology (ONC). ONC describes the vision of a learning system to be “an environment where a vast array of health care data can be appropriately aggregated and analyzed, turning data into knowledge that can be put to immediate use”. The immediate concern with this utopian structure is of course privacy of the observed, and the basic individual right to not be observed. However, as the IOM/ONC thought process evolves, and as evident from the OHRP hearing and subsequent articles recently published by IOM and research industry affiliated individuals (here and here), the learning system is not only assuming that patients should be observed without explicit consent, but that they should also be subjected to randomized experimentation without explicit consent, if the designers of experiments classify their activities as CER or QI, all within the boundaries of “standard care”. Furthermore, a Hastings Center Report, briefly mentioned in the OHRP hearing, introduces the idea that all patients have a “duty” to subject themselves (and their children) to health system “learning activities”, which include randomized experiments, with or without informed consent, depending on the nature of the experiment, the level of difficulty in obtaining consent and the judgment of the health system. The duty of course is to contribute to the common good. The implicit assumption being made here is that “The System” is experimenting on people solely for the common good as well, and that we can trust the beneficence of “The System” in perpetuity, or until we discover otherwise. 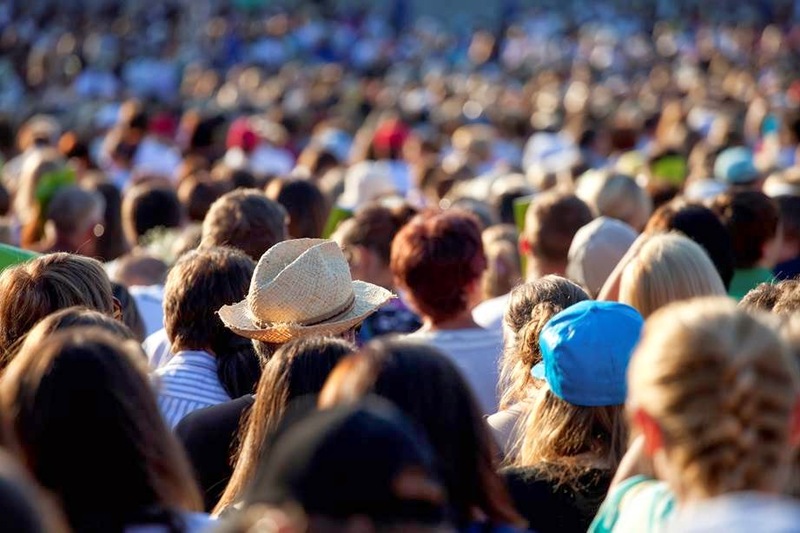 This line of thought is indeed congruent with the modern trend to manage the health of populations, which is quickly replacing the old fashioned view of medicine as a personal service, where the locus of trust was the individual physician and the overriding interest was the individual patient. So how do we get from here to there? The old HIPAA law grants permission to health care facilities to use and disclose health care information for the purpose of treatment, payment, and health care operations, and patients must sign HIPAA consent forms prior to obtaining any type of treatment (exclusive of true emergencies where consent is implied). If we “broaden” the meaning of health care operations, which is already broad enough to drive a truck through, to include “learning activities”, and if we define “learning activities” to include randomized clinical research on human subjects that poses only incremental risk to patients, compared to doctors flipping coins, then we have the ability to monitor, collect and analyze any and all data on every single patient. To complete the task, the Secretary of Health and Human Services (HHS) will need to provide additional regulatory “guidance” on how the Common Rule can be ever so slightly relaxed to exclude certain “learning activities”, and hence the OHRP hearings (OHRP is part of HHS). I do understand that this is a complex subject and opinions may differ, so a vigorous debate is healthy. But this debate cannot take place in obscure OHRP hearing rooms, or on the pages of the New England Journal of Medicine, or even in multi-stakeholder IOM round table meetings. With all due respect to distinguished researchers, bioethicists and political appointees, this subject is above and beyond the pay grade of all currently involved in it. This debate is not about paperwork or IRB management techniques. This debate is about diminishing those humanitarian protections that inconvenience the electronic age of Big Data and little people, and no amount of patient-centered terminology (or David Hume quotes), will change that. This debate should take place on the front page of the New York Times, the Wall Street Journal, CNN, MSNBC, Fox News, and the floors of Congress, and eventually in front of the Supreme Court. This debate is ours to settle. Vox populi, vox Dei. My sincere apologies for the inconvenience.